A Bay Area tortilla bakery will soon expand their operations to a facility in Elk Grove it was announced yesterday. In a statement issued by the City of Elk Grove, San Leandro-based Mi Rancho has agreed to purchase the warehouse formerly occupied by Bimbo Bakery on Iron Rock Way for $8.1 million. The city said when the bakery becomes fully operational within two years, it expects to employ up to 250 workers and spend $25 million on capital equipment. In their statement, the city said an incentive plan is under evaluation. Although the city's economic development director Darrel Doan and spokesperson Kristyn Nelson did not respond to an email request seeking specifics on the incentive plan under review, the statement suggested that any bonus offered to Mi Rancho would be on a contingent basis. The statement notes Elk Grove taxpayers "will provide monetary incentives to the company in exchange for accelerated project delivery and hiring, future expansion, and bonus incentives for hiring Elk Grove residents." Although the city refused to disclose what incentives were offered, in the city's press release, Mi Rancho's owner and president Michael Berber mentioned economic incentives as a motivation for their expansion in Elk Grove. Any economic incentive plan would require approval by the Elk Grove City Council. Since 2011 the city council has awarded multi-million dollar incentive packages to Pappas Development for a two of their projects in the city. Most recently Pappas, who has been a regular and generous contributor to Elk Grove city council members campaigns, was given an $8 million multi-year subsidy to build the Costco store now under construction on the southeast corner of Bruceville Road and Elk Grove Boulevard. In 2011 Pappas received $1.4 million as part of the larger incentive package that brought the California Correctional Health Care Services to the city. Mi Rancho says their San Leandro facility produces 4.5 million tortillas a day that they distribute to grocers nationwide. 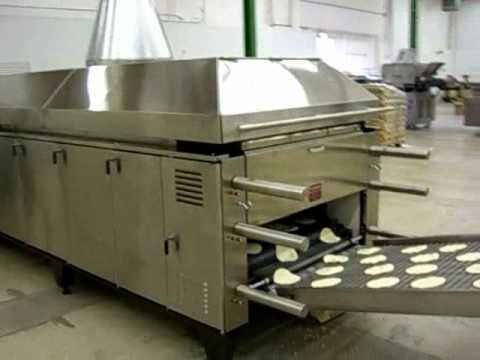 The company also manufactures a line of tortillas chips for restaurants. Although the company would not disclose wages for productions workers, they said they offer health benefits and profit sharing. Partial operations could start within 90 days. I can't stand all this excitement! A Fleet Feet shoe store and a tortilla factory all in the same week! Keep those high wage jobs coming and my kids may just want to hang around after college! Anyone who has observed the Elk Grove city council shenanigans for any length of time can predict with certainty how the proposed economic incentive package will roll out. After months of going stealth, Darrell Doan will make the sales pitch for the incentive package and heap praise on Mi Rancho. For good measure, tagging along for some glory will be Joshua Wood and Barry Broome. After all, success has many fathers, failures none. Like an attorney who never asks questions during testimony that they do not know the answer to, the city council will ask a few scripted questions to give the appearance of concern about the use of tax dollars being forked over, but it will all be for show. This deal was undoubtedly rigged via numerous serial meetings in violation of the Brown Act, but it’s all good. The illegal meetings are bringing jobs, and as Trump supporters regularly do, they will ignore protocol and the law and rationalize their actions that it is for their greater good. Let’s not forget four of the five council members are appearing on this November’s election. During deliberations, you can expect the following, or some facsimile from each of the following council members. Steve Detrick will welcome the company to Elk Grove and say how he has become such good friends with the owners of Mi Rancho. Who knows, maybe he will shake them down for some cash while sipping margaritas at the cabana on his private lake. Stephanie Nguyen will comment that the key to Mi Rancho’s expansion in Elk Grove was because of workforce development, which by the way, is what she does on her day job. For his part, Pat Hume will say this will help correct the jobs to homes imbalance, shows the need to build more rooftops, and in a bid for votes from the growing health-conscious constituency of voters, will note the corn tortillas are organic and gluten-free. Forever trying to show he is the smartest person on the council, Darren Suen will discuss his familiarity with the baking process and will then meander off to some meaningless discussion about bike lanes and bus rapid transit. And finally, our Mayor, Steve Ly, in his ongoing efforts to show his inclusiveness, will say how much he loves Mexican food, don an urban sombrero, and note the factory is on the route he takes to work so they can expect to see him at their outlet store every morning. Yes, business as usual in Elk Grove. Neo Elk Grove: You nailed it! What is so great about your comment is that you capsulated all five of them in one post. Equally as rich is that this Elk Grove City Council honestly believes they are pulling the political wool over their constituents’ eyes, forgetting we are people and not sheeple.